When booking of villas in Split Croatia, have in mind that inside city of Split there is small number of villas because Split was not tourist destination 15 years ago. Booming of Split tourist market happened recently. Firstly old town apartments in old stone houses were renovated by its owners who realized there is great rental potential in these old stone houses in the old town center, just like in Dubrovnik. After this trend started, it spread to the new parts of Split, mainly beach areas on the east where a lot new modern apartments were put on the rental market. Luxury villas for rent in Split started to show in Split tourist market only few years ago. LuxuryCroatia.net is specialized for villas rentals in Dalmatia and Istria. My agency was pioneer in villas rentals. I started to collect villas 9 years ago, in 2010. In that time there were less than 100 villas in Croatia. Today there are more than 1000 villas. In my agency there are in this moment about 550 the best Croatian villas for rent. With most of them my agency worked from the beginning. Villas for rent in Split area are rather new on the tourist market because Split tourist market was not developed at all. Split was transit town, where tourist never stayed on their way to the final destination, usually islands or small tourist towns along the coast south or north of Split. Today, booking of villas in Split is good option as there are now increased number of all kind of villas in Split and nearby small tourist settlement within 10 km radius. In my agency offer there are top luxury villas in Split, middle level villas, villas that consist of several apartments and luxury apartments on the beach. There are a lot of apartments in Split for rent in summer season. 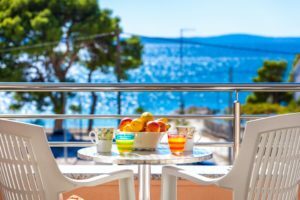 You can select among old town apartments nested in renovated stone houses in the very center, or modern new spacious apartments on the beach, not in the center but along one of many beaches that you can enjoy in Split. One of beaches is sandy beach Bacvice, which is in the center of Split, next to the ferry port. On the Bacvice beach you can find restaurants and bars, and night life as well, dance festivals take place on the beach in summer time. Split today offers almost all that any tourist could ask for, from array of different accommodation, to top gastronomic experiences, night life, rich historic heritage dating more than 1700 years back to old Roman times, times of Roman Emperor Diocletian… you must come over here to see all this beauty.